Qatar selects Airbus A330 MRTT Multi Role Tanker Transport. Gulf nation will acquire two new generation tankers. 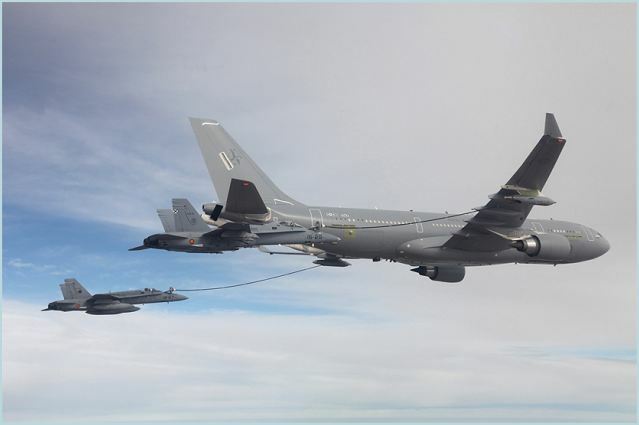 Airbus Defence and Space has been selected by Qatar to supply two A330 MRTT new generation air-to-air refuelling aircraft for the Qatar Emiri Air Force. Qatar´s choice of the A330 MRTT makes it the seventh nation to select the type following Australia, Saudi Arabia, Singapore, the United Arab Emirates, and the United Kingdom which have ordered a total of 34 aircraft, and India which is in the final stages of contractual negotiations for six aircraft. A total of 17 aircraft are currently in service.